This shop is in Nanluoguxiang, a street full of alternative shops in the centre of the Dongcheng district in Beijing. 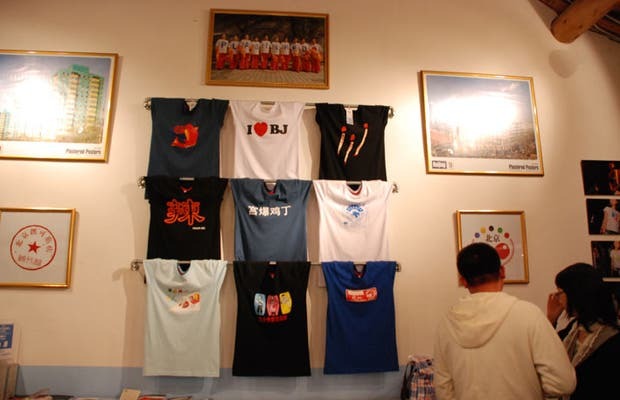 It sells T-shirts with Chinese characters and drawings designed exclusively for this site. Also you can find sport jackets, caps, key chains, mugs, bags and even sunglasses or watches. They speak English.